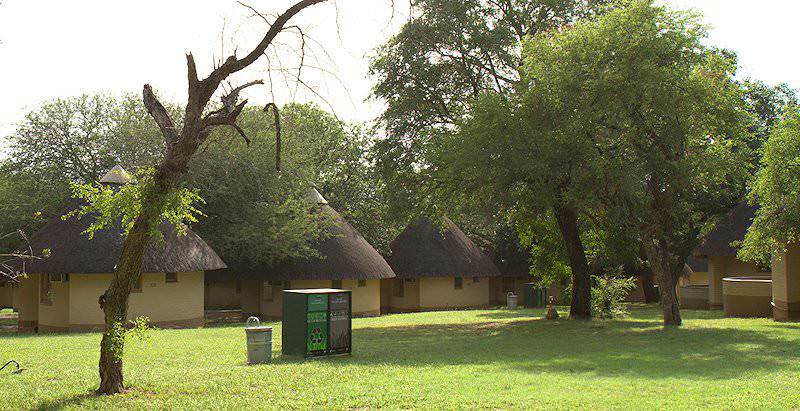 Pretoriuskop is one of the oldest rest camps in the majestic wilderness of the Kruger National Park. Pretoriuskop Camp offers a wide selection of accommodation. The selection consists of 30 rural rustic huts that sleep 2, 3, 5 or 6 guests respectively equipped with an overhead fan. The guests can make use of the communal kitchen and ablution facilities. There are also 48 additional air-conditioned huts with mini fridges. The huts can sleep 2, 3, 5 or 6 guests. The guests can make use or the communal kitchen and ablution facilities. 52 air-conditioned bungalows are also available that sleep 2, 4 or 6 guests. Each of the bungalows has either a shower or bath. Some of the bungalows have a kitchenette and the guests who stay in bungalows without a kitchenette can make use of the communal kitchen facilities. There are 5 cottages available. The one cottage has 4 beds, with 2 bathrooms, fridge, kitchenette and cooking utensils. The 6 bed cottage has 3 bedrooms, with 2 bathrooms, fridge and kitchenette with cooking utensils. The finest accommodations available are the two guest houses. Pierre Joubert Guest House has 16 beds, with kitchens including a microwave. The bathrooms have either a shower and bath or just a bath. The Doherty Bryant Guest House has 9 beds, with kitchens including a microwave. The bathrooms have either a shower and bath or just a bath. The guest houses also have televisions with limited DSTV channels. Pretoriuskop is one of the most basic of all the Kruger National Park&apos;s rest camps, and definitely not a favorite. It does offer the advantage of being fairly easily accessible from the southern gates of the Kruger Park. South Africa is one of the top safari and tour destinations in Africa. Botswana is startlingly wild, with painstakingly well-preserved safari areas. Namibia's most alluring attractions include towering red sand dunes in Sossusvlei. Zambia's safari areas are based largely around rivers and floodplains. Travel to Zimbabwe for an astonishing view of the Victoria Falls. Mozambique will appeal to both leisure and adventure-seeking travelers. The Kruger National Park boasts an extraordinary 147 different mammal species and more than 500 species of birds. The Sabi Sand Private Game Reserve shares an unfenced border with the world-renowned wilderness of the Kruger National Park. Cape Town is an alluring destination that effortlessly combines city-based adventures with memorable outdoor pursuits. The Garden Route is famous for its bewitching natural beauty, from primeval forests to sparkling freshwater lakes.